Story by Kranz and Ziegler are a Danish brand, not as widely known in the UK as other brands but they certainly seem to be gaining popularity amongst my friends at least; as every time I show one of them a Story Bracelet the brand seem to instantly gain another fan! My interest in the Story brand started over a year ago with this review on Endangered Trolls and whilst I've yet to indulge in the snakeskin range I seem to be adding to my collection nevertheless. 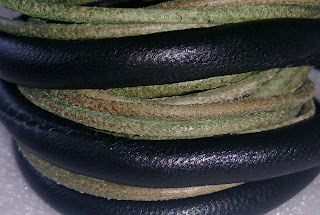 My first choice was the Black Lambskin 3 Wrap Starter Bracelet. It came with 1 charm and I was able to choose whether it was gold plated, silver or rhodium plated, as I wasn't sure what else I'd be wearing it with I thought the rhodium would be the most versatile of the three. 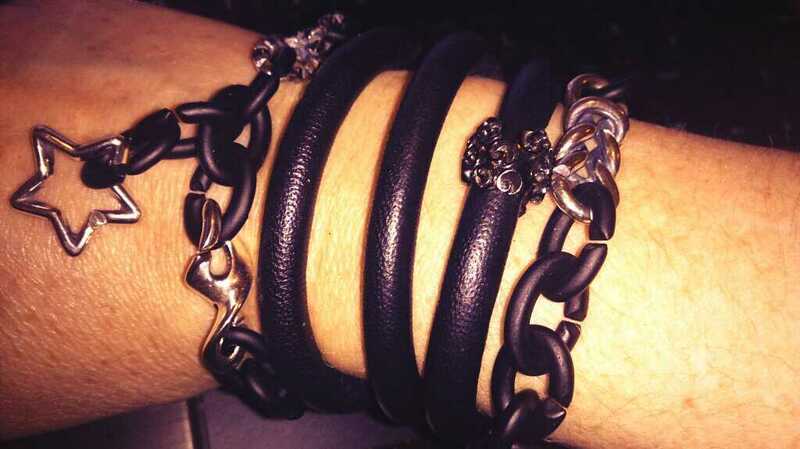 The lambskin bracelets are super soft and light to wear, a great choice for around the office as it doesn't stop me from typing like my silver charm bracelets can. As regular readers will know, one usually isn't enough... actually the bracelet I most coveted from the Story range was the incredible Garnet 3 Wrap Bracelet, made up of 5 strings of garnet beads that wrap around your wrist 3 times. I'd tried this one a long time ago and fallen in love - it comes with a much heftier price tag than the lambskin so I'd decided to save up. 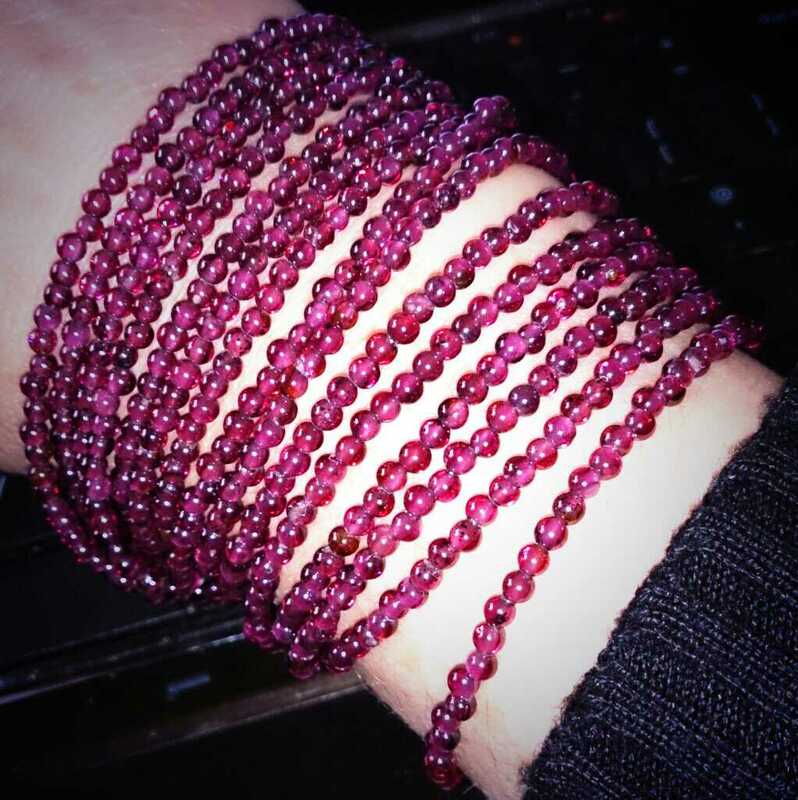 As luck would have it, Endangered Trolls offered a 10% discount a while back in conjunction with one of my favourite shops and coupled with a few vouchers I had plus another online discount on top and I picked up my second Story bracelet much sooner than I'd expected. All the Wrap Bracelets close via a magnetic clasp and are really easy to manage one handed, at first I was a little nervous as to whether it would come apart but having worn both bracelets extensively since I bought them I've had no such issues. 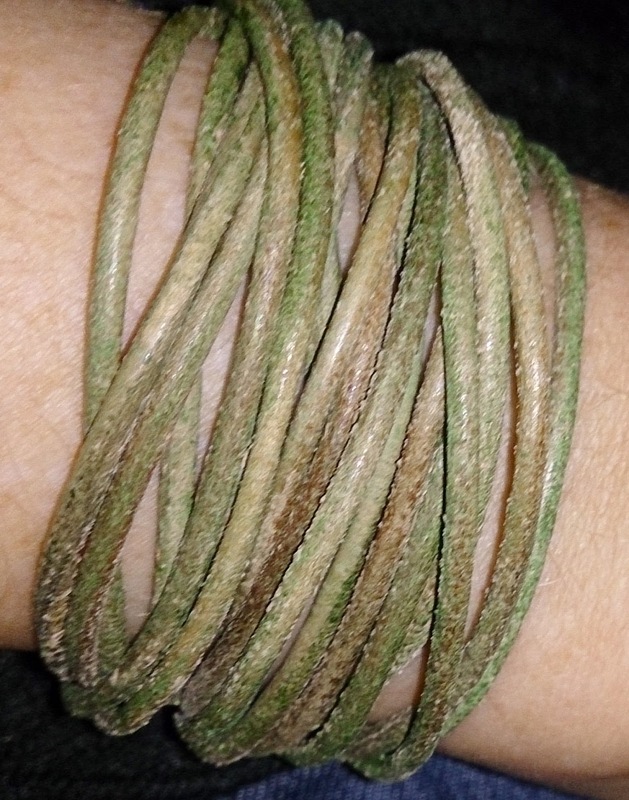 My third and final choice (for now) is the Olive Green 3 Wrap Bracelet made up of 6 strings (it feels like a rougher leather cord) that wrap around your wrist 3 times. 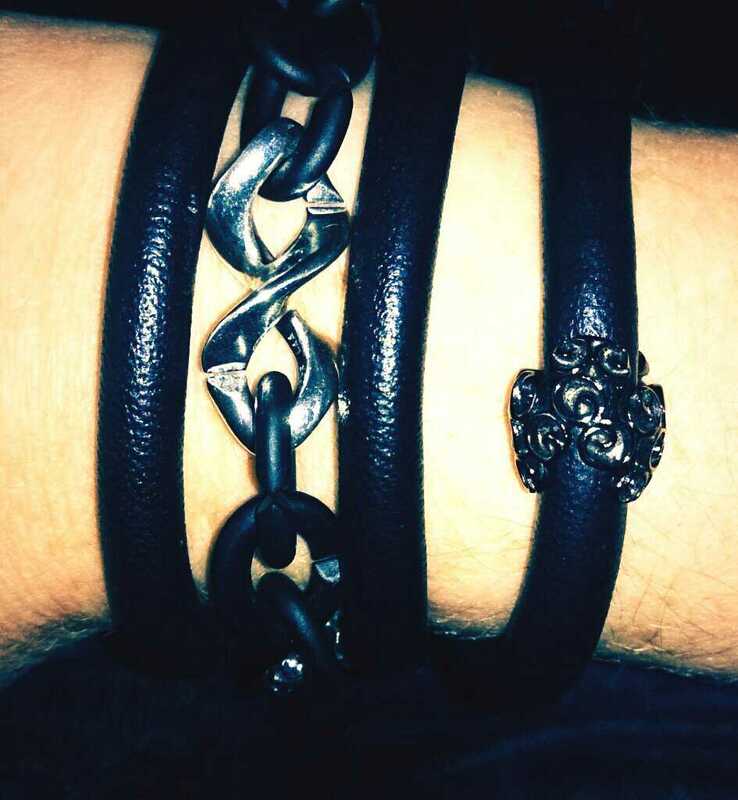 So three very different bracelets all from the same brand, one advantage of Story is that you can easily link more than one bracelet together and the 3 I have compliment each other quite well. 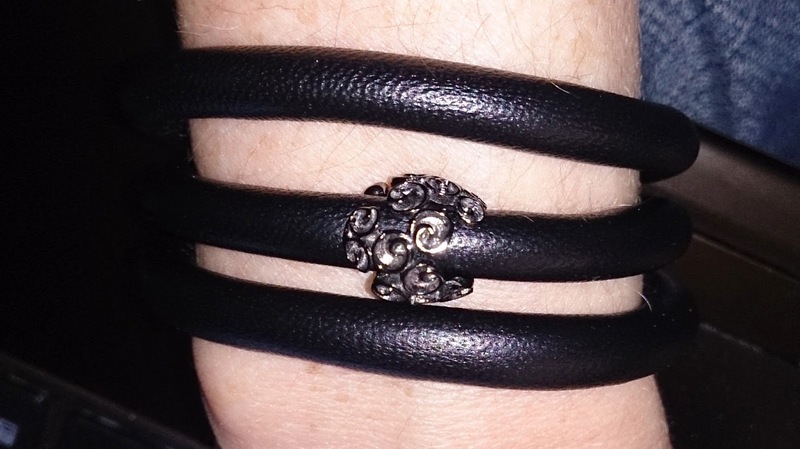 Whilst I tend to wear the garnet bracelet by itself I've been wearing the black lambskin bracelet with regular trollbeads bracelets, the trollbeads bangle and X by Trollbeads as well as by itself, it really is an incredibly versatile bracelet. Bracelets that wrap around 3 times come in 54cm, 57cm, 60cm and 63cm sizes and as usual I take the smallest size of 54cm whereas most shops seem to stock 57cm as standard. 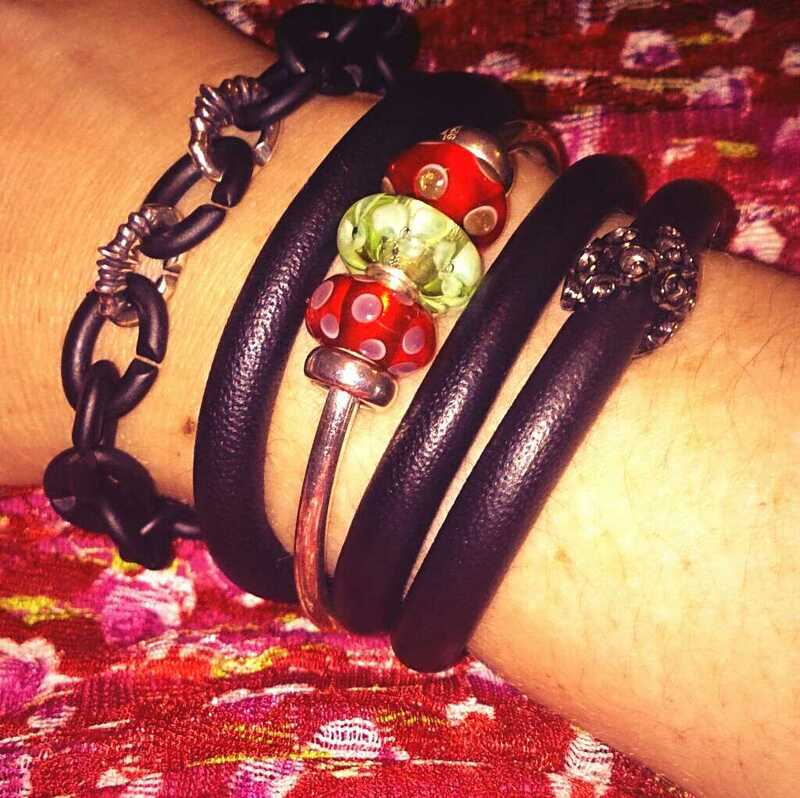 I was able to buy my starter bracelet direct from the shop but I've had to order all the others online, I could have had the shop do this directly but I'm afraid I was both impatient and as is typical I wanted to take advantage of some vouchers I had and the online specials that are available from time to time! 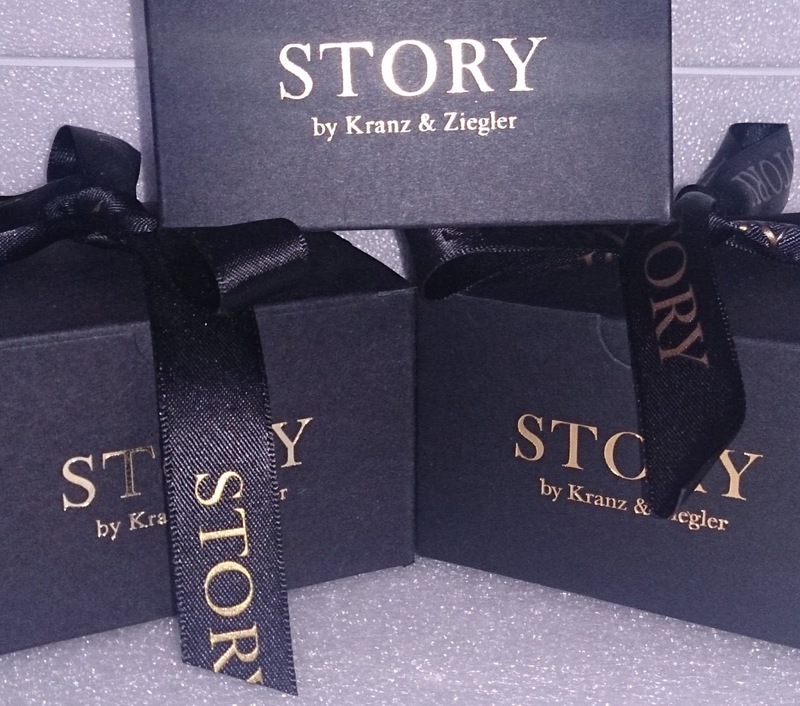 You can get earrings, necklaces and rings to match and there is a wide range of charms to choose from. I've decided to start with collecting the bracelets before charms as I actually like the bracelets worn naked without any charms. Now my biggest decision is do I continue to buy bracelets and pick up that lovely turquoise bracelet in the sale or start on the charms? 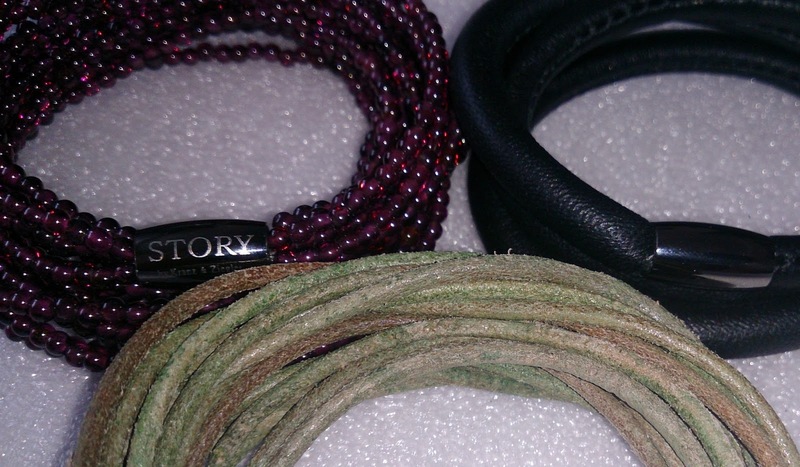 Oooh, I absolutely love the olive green bracelet! 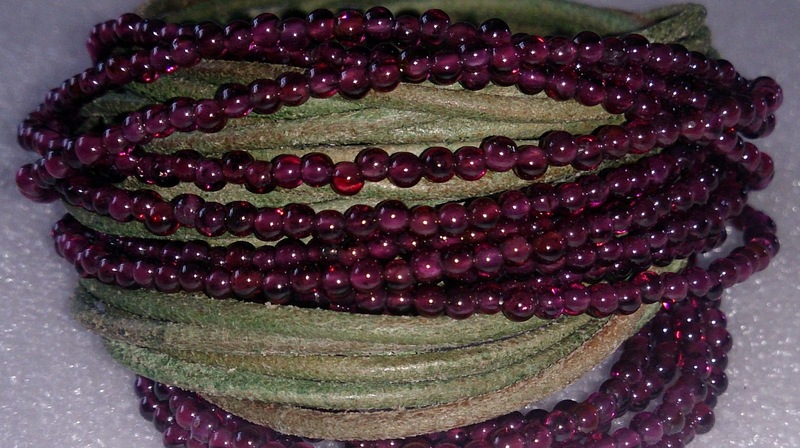 Hasn't the olive green got just a gorgeous hue of colours? I'm currently wearing that one mixed with a fabric wrap bracelet with a little silver dangle charm; one of the reasons I love Story they are just so versatile for stacking and mixing with other brands. 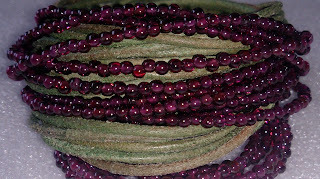 I still haven't made up my mind about the turquoise beaded one yet... I had an order turn up that I'd forgotten to factor in my budget so I'm in that age old dilemma, do I ignore the finances because the price is a 1 off, or be good and miss out on the bracelet... so far I'm being good! I wonder how long that will last?